Settling in to watch the University of Virginia men’s basketball team take on the University of Pittsburgh Saturday, alumnus Cory Paradis saw something that took his breath away. 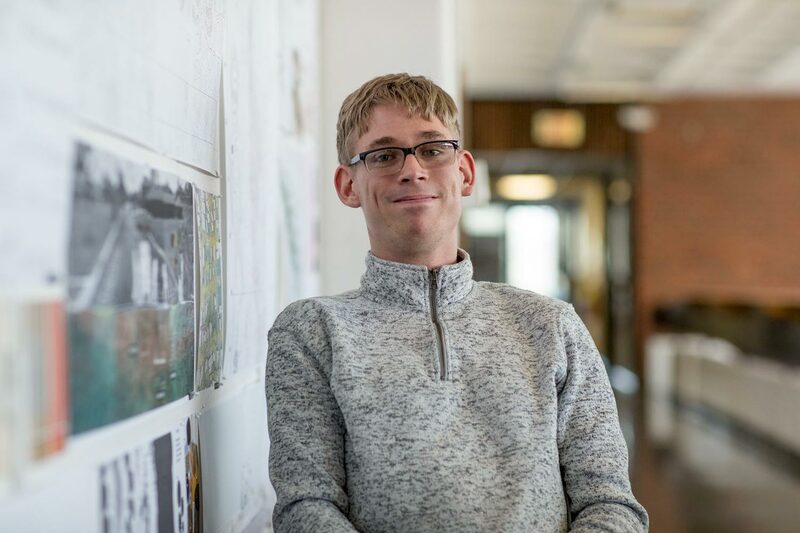 Paradis, who graduated from UVA’s School of Architecture in May, was born with cerebral palsy and has been in a wheelchair most of his life. Throughout his time on Grounds, he was a committed advocate for accessibility. Among other activities, he served on the University’s Barrier-Free Access Committee, working with administrators, faculty members and students to push for permanent wheelchair ramps on the Lawn. On Saturday, cameras panning over the Lawn caught one of those new ramps, completed and opened last week. The two permanent ramps, located on either side of the Lawn adjacent to Pavilions V and IX, allow students, faculty members, staff and visitors with mobility issues significantly greater access to the four terraced levels of the Lawn. Previously, only the uppermost and lowermost terraces of the Lawn were accessible by ramp, with well-worn stone stairs limiting access to the full space in between. The ramps are set into sloping banks between terraces, and were designed with the same custom brick blend used for wall repairs in the Academical Village buildings, in order to preserve the look and feel of the UNESCO World Heritage Site. 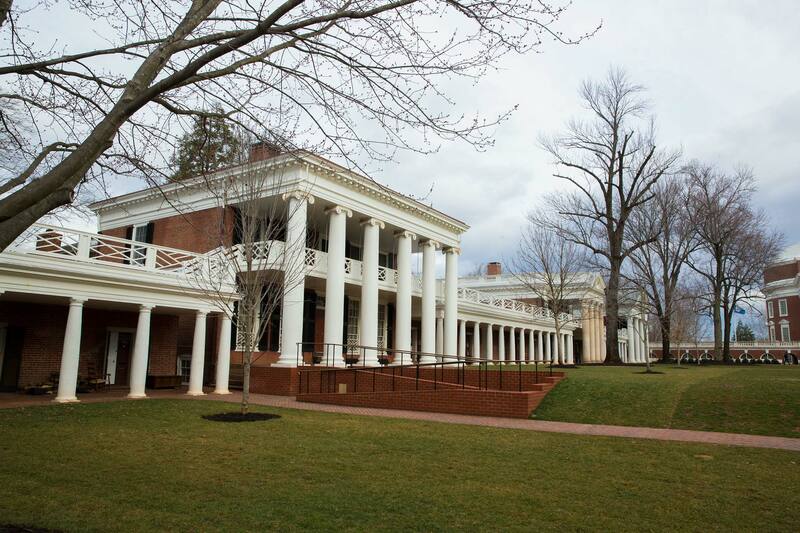 “This project is an excellent example of the ‘village’ of UVA staff working together,” said Associate Provost for Academic Support and Classroom Management M. Wynne Stuart, who chairs the Barrier-Free Access Committee. She cited contributions from Alice Raucher, the architect for the University, and her team; Senior Vice President for Operations Colette Sheehy and her team; and the Facilities Management team that worked diligently through several weather delays to complete the project. Paradis said he was particularly excited to see the addition of permanent ramps on a historic site like the Lawn. He hopes it could set a significant precedent for other historic sites and attractions.